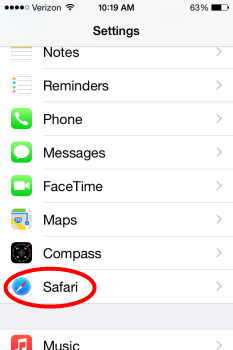 iOS devices use Safari for browsing the web. 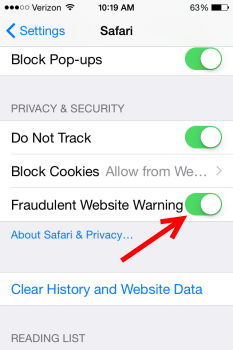 Safari has built in a Fraudulent Website Warning. When this feature is enabled, Safari will display a warning if the site visited appears to be a phishing site. Phishing is an attempt to steal your personal information such as bank account information, passwords, and usernames. Instructions for turning on Fraudulent Website Warning are below. 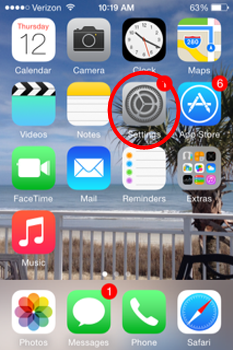 Step 1: Select the Settings icon on your device. Step 2:Scroll down and select Safari. 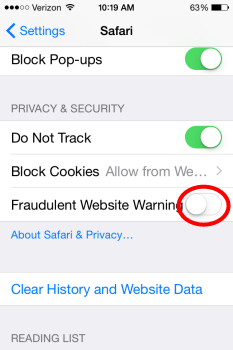 Step 3:Scroll down to PRIVACY & SECURITY and swipe the button next to Fraudulent Website Warning. The button will be green once it is enabled. You have now enabled Fraudulent Website Warning. For a step-by-step instructional video watch the video below.